Unfortunately Peter developed cancer about a year after our trip—and has spent the last two years battling his illness. I met him most recently at CES in 2011 and we were both exceedingly happy to see one another, though Peter—a tall robust man when we visited Bern—had clearly grown frail. I tried not to weep when I came up to him (and he tried, too). We embraced and that is the last time I saw him. Alas, I found out today that after a long, brave struggle Peter succumbed to his illness. DaVinci has posted the following words on its Web site (https://www.facebook.com/davinciaudio.labs.gmbh): “Up until the end Peter Brem lived his life for and with music. At the age of 62, on April the 3rd, 3am, in a clinic in Bern, he succumbed to his terminal cancer. At the end pneumonia weakened him even more in his fight against the tumor. Peter will certainly live on in my mind and heart. For me, he wasn’t just another greatly gifted audio engineer; he was a kindred spirit. And I will miss him. We at TAS send our sincerest condolences to Jolanda, Sandro, and Nathalie Costa; we’re sure that you will continue Peter’s remarkable work. And a fond good-bye, Peter, from Kathy and me. Peter (on the right) in healthier, happier times. 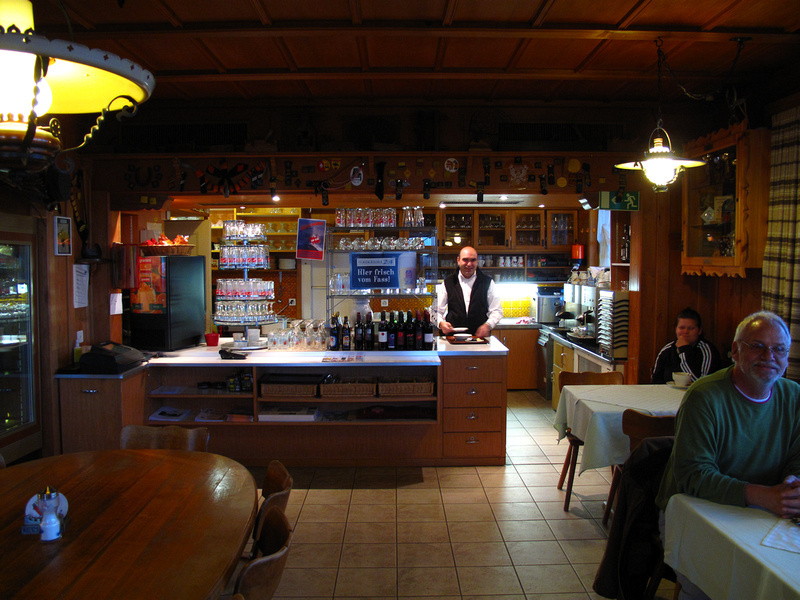 Taken at a cozy inn in Gurnigelbad, Bernese Oberland, November 2009.